PREMIER RESTAURANT HOOD CLEANING YOU WON'T EVER FORGET ABOUT AGAIN GUARANTEED! Are you looking for Restaurant Hood Cleaning Service In Buffalo Ny, If so and you manage or own a commercial property that cooks food you are required to meet specific codes set forth by the NFPA 96 standards and also local codes regarding your ​kitchen exhaust system. The hood and exhaust system is necessary when cooking for commercial purposes. It helps to capture the grease from the food being cooked, however this grease will travel through the filters continuing to make its way to the roof-top exhaust fan and getting everything all greasy. It’s very critical that you have restaurant hood cleaning services performed as often as necessary for your facility depending on the type of facility you operate. By Doing so this will ensure constant safety for your staff as well as your guest and also have a structure by ensuring a grease fire will not quickly ignite due to a poorly maintained exhaust system. 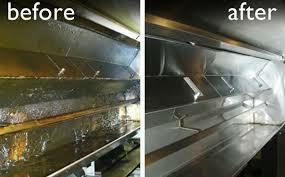 M&N Hood Cleaning Service Inc. will completely clean your kitchen hood and exhaust system from top to bottom. We will scrape food particles and degrease the entire system. Certain areas, such as the filters and hoods, among others, will be cleaned with a pressure washer. Once we have finished cleaning your restaurant hood and exhaust system we will then clean the floor and any counters near the site. We strive to leave it cleaner than it was upon our arrival. We offer our superior and professional hood and exhaust cleaning system services for all Buffalo NY properties. Our staff is certified and trained to perform top-notch work every time we arrive on a job. Our scheduling is very flexible to help you schedule the best time for your business to receive services. We will be in touch prior to your next required hood and exhaust cleaning to make arrangements for service. Every job is thoroughly documented from the service report you submit to us, informing us of any deficiencies with your system, to the report we provide once services have been completed. We promptly return calls and provide a follow up call a few days after service to get your feedback in order to improve our restaurant hood cleaning services.